Trace Alley, 12, participated in the Cedar Hills Gun Club Spring Shoot over the weekend. The Cedar Hills Gun Club was busy with its spring shoot. 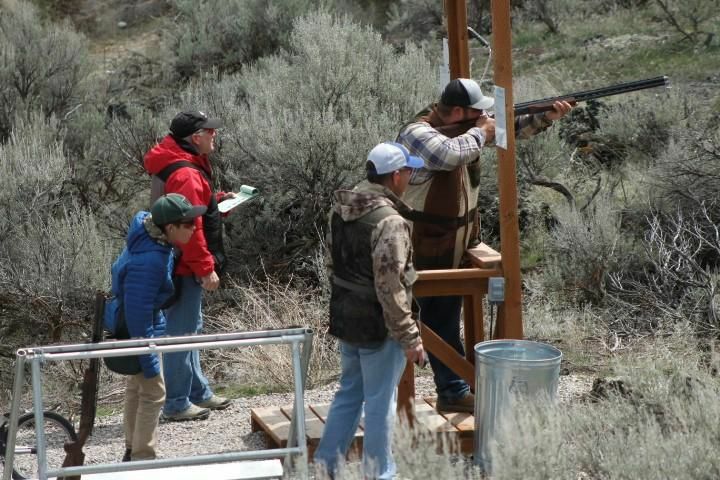 BLACKFOOT — The cracking of gunfire and smell of sulfur was in the air Saturday at the Cedar Hills Gun Club Spring Shoot. 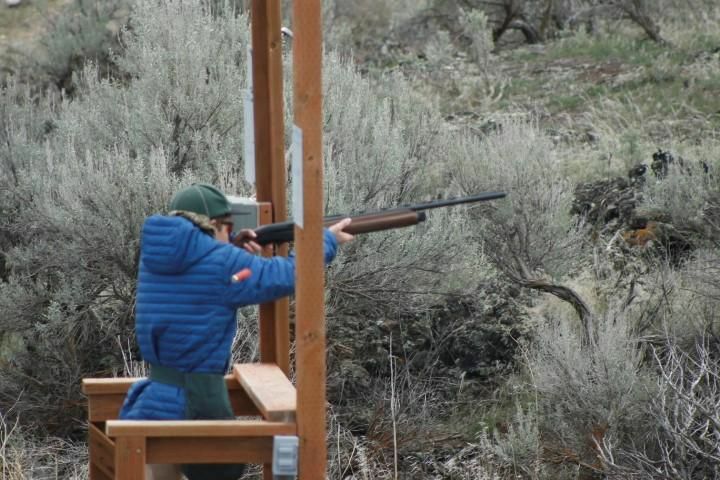 Nearly 30 people from around the west showed up to participate in the sanctioned shoot for the National Sporting Clay Association (NSCA). Participants moved through 15 different stations, each with its own challenge, to gain high enough scores to rank up in class. The ultimate goal for participants is the highest rank, Master Class Shooter. The courses are set up to imitate the hunting of ducks, pheasants, and rabbits. Some stations have the clays flying through the air while others have them shooting across the ground like a rabbit. The wind on Saturday added to the challenges of the stations on the course. The third station has clays coming from the left first and then the right just seconds apart. “For a right-handed shooter, it’s a challenge,” said Nick Takacs of Idaho Falls. All scores for the shoot are provided to the NSCA to help with future registered shoots and can help the participants move up in class.